Two-time UM System interim president, Melvin D. George, died this week at the age of 80. A native of Washington, D.C., Melvin “Mel” D. George joined the University of Missouri-Columbia faculty in 1960 as a professor of mathematics after earning a doctorate from Princeton University. He quickly moved up the faculty ranks being named as associate dean of the MU Graduate School in 1967 before transitioning to the University of Nebraska-Lincoln to serve as dean of the College of Arts and Sciences in 1970. 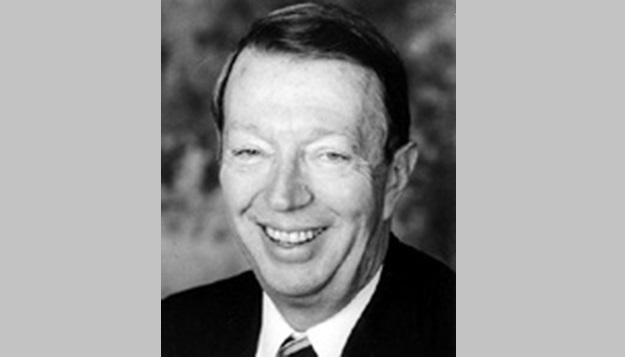 In 1975, George returned to the University of Missouri to serve as vice president for academic affairs at the UM System. During this time, he was called upon to serve as interim president of the system in 1984 prior to the appointment of C. Peter Magrath in 1985. George returned to the UM System a second time to serve as interim president in 1996 prior to the appointment of Manuel T. Pacheco in 1997. For his continued service to the university and to higher education, George received the Gordon Warren University Extension Land-Grant Award in 1997 from MU Extension and the UM Alumni Alliance Presidential Citation Award in 1998. From 1997 to 1999, George chaired the Missouri K-16 Coalition, a statewide group appointed by the State Board of Education, the Missouri Coordinating Board for Higher Education, and the UM Board of Curators to make K-16 education in the state more seamless, with higher expectations for student learning, beginning with mathematics. George has served as a member of the Mathematical Sciences Education Board of the National Research Council. George is survived by his wife, Meta, of Columbia, and two daughters. Funeral arrangements are pending.